As one of the world’s largest copper producers, Freeport McMoRan’s mines span the globe. Freeport is also a pioneer in sustainability in North America, the Atacama Desert in Peru and Chile, and West Papua, Indonesia, forging strong relations with many communities along the way. Environmental conservation, a key to the UN Sustainable Development Goals (SDGs), is instrumental to this engagement. Mines are intricately linked to the diverse ecosystems and people that surround them. Freeport uses dynamic, stakeholder collaborations with governments, universities and scientific organizations to create cutting-edge initiatives. It sponsors a wide range of programs in schools and museums promoting the preservation of some of the world’s most endangered creatures and plants and the ecosystems where they live. Freeport McMoRan demonstrates a strong commitment to stringent standards for conservation at its operations, joining the Wildlife Habitat Council (WHC) in 2006. Since that time, 15 of Freeport’s environmental initiatives have achieved recognition by the WHC’s certification program, Conservation Certification. Freeport has built on this success by introducing wildlife protection plans in 2017 on location at each of its North American mines. Mine activities, such as blasting, can have serious consequences for animal life. In Arizona, U.S. Sierrita operations staff have counteracted this challenge by cooperating with state and federal wildlife officials to establish a new population of threatened, Chiricahua leopard frogs, relocating over 500 from the mine to a national forest in Colorado. Elsewhere in Arizona, Bagdad personnel have helped state government officials to protect endangered native fish by capturing and relocating 200 roundtail chub, 42 Sonora suckers and 161 desert suckers from the project to a creek near the mine site. The Arizona Mining Association recognized Freeport with an award for its work to protect and monitor 1.5 million bats roosting in two sites near its Safford mine and its educational programs for local students and the wider community. Freeport’s Cerro Verde project, situated slightly southwest of Peru’s second-largest city Arequipa, sits atop 63,200 hectares (154,000 acres) in the Atacama Desert, one of the most arid places on earth. The Arequipa region is home to diverse plants and animals adapted to the extreme conditions. A range of site personnel monitor and manage nearly 29,300 hectares (59,000 acres)—40 percent project land—using biodiversity-specific data and techniques to ensure the species and their habitats remain unimpacted by mine activity. Their programs protect Weberbauer cacti, an important food source for many species, by inducing them to flower and relocating seeds for long-snouted bats that consume and pollinate them. This intervention facilitates fruit production for reptiles and guanacos, a species similar to llamas that also spread seeds. Endangered species and ecosystems exist throughout the South America, and Chile is no exception. Yet Freeport’s conservation also hits a high note just over 640 km (400 miles) to the south at its El Abra copper facility in another expanse of the Atacama, which covers an area of 6,324 hectares (15,405 acres) in the country. There, teams manage on-site desert shrubs and high wetlands alongside some 37,600 hectares (93,000 acres) of habitat. In a partnership with scientists from Chile, Freeport staff from Argentina and Peru have conducted studies of potentially endangered domestic flamingos. One evaluation covered 90 percent of the areas that flamingos inhabit in northern Chile, including Arica, Tarapacá and Antofagasta. The team has protected 7,000 cacti through rescue and relocation programs. Additionally, the group partnered with Chilean academics to examine endemic fish in one of the area’s salt flats and conservation of native seeds. As the world’s second-largest copper-gold mine, PT Freeport Indonesia’s (PTFI) Grasberg project spans 300,000 hectares (740,000 acres) in West Papua, one of Indonesia’s most remote provinces, from sea level to 4,200 meters (13,700 feet) high. Encompassing mangrove forests, freshwater swamp forests, lowland tropics as well as heath and montane forest, 90 percent of the area also represents pristine, natural ecosystems. This flourishing ecosystem is no accident. To combat poachers and others in the illegal wildlife trade, PTFI joined officials at Lorentz National Park to repatriate endemic wildlife confiscated from illegal traders. Within the past decade, PTFI relocated nearly 11,000 pig-nosed turtles along with another 11 endangered or protected species, including parrots, turtles and crocodiles to kangaroos, lizards and other creatures, back to their habitats. 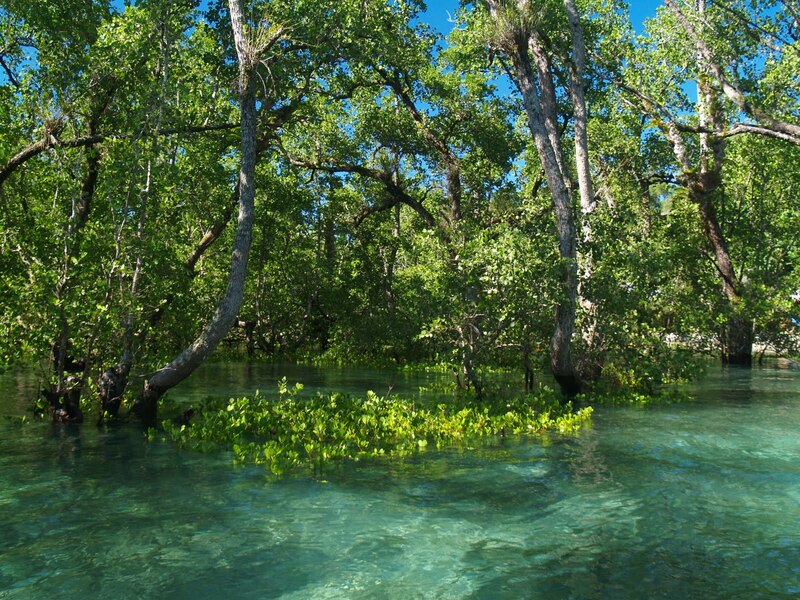 PTFI also recolonizes native species within site ecosystems, including tropical, subalpine and mangrove habitats. To date, employees and local volunteers planted more than 200,000 mangrove seedlings on nearby islands and encourages visitors to commemorate their visit by planting their own trees. PTFI sponsors educational activities, allowing visitors to explore the site’s jungle trail, herbarium, butterfly sanctuary and botanical gardens. Local students participate in internships onsite and conduct research into native plants, pest management, reclamation and biodiversity. The company sponsors educational programming for both teachers and students in over 75 schools. In addition, PTFI offers training in environmental stewardship programs for economically vulnerable community members. Despite its intense richness, research into Papua’s biodiversity proves highly limited. As such, PTFI has offered much of the area where it operates as a virtual laboratory for analysis by scientists. This project has revealed new species of crabs, mammals and frogs. In all, PTFI has collected over 5,000 plant and animal specimens, many of which can be seen at museums in Indonesia and around the world. Recovery of naturally-stressed ecosystems is important, too, and the estuaries of southern Papua, with their heavy rainfall, are no exception. To counteract this pressure, PTFI has supported the operation of mangrove colonization programs since 2002. Through 2017, approximately 130 hectares of newly formed land on Waii Island have been revegetated with mangroves, reaching a survival rate surpassing 90 percent. At 4,000 meters (1,300 feet) above level, meanwhile, the open pit Grasberg asset lies in an area of grasses, replete with ferns, herbs and shrubs. PTFI accordingly implements research to survey re-vegetation in these subalpine and alpine ecosystems, while propagating native plants and composting to support reclamation. In an era defined by climate change, industrialization and consumer-driven demands for minerals, environmental conservation proves a priority for mines, which can last decades, if not generations. Through its conservation initiatives, Freeport is a leader in showing how miners can ensure mineral extraction is compatible with helping all types of species and their ecosystems thrive the world over. Based in Phoenix, Arizona, Freeport-McMoRan operates large, long-term, geographically diverse assets of copper, gold and molybdenum and is the world’s largest publicly traded copper producer. Its mines include the Grasberg district in Indonesia, one of the world’s largest copper-gold deposits, and major operations in North and South America, encompassing the large-scale Morenci minerals district in Arizona, the Cerro Verde operation in Peru and El Abra in Chile.